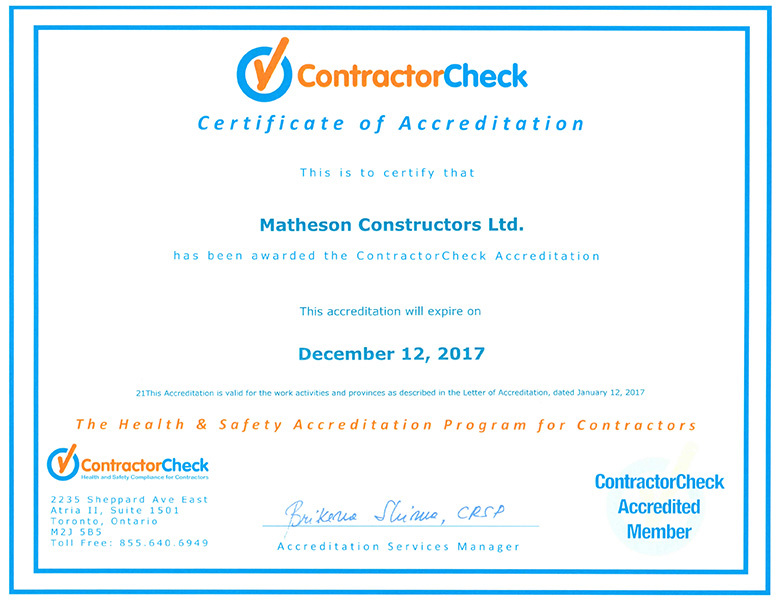 Matheson is proud to have recently received its ContractorCheck Certificate of Accreditation. This membership is in keeping with our commitment to a safe workplace. ContractorCheck’s health and safety professionals assess and accredit contractors for some of the largest commercial property companies and corporations in the country. Matheson strives to provide our clients and partners with every assurance that their jobsites will be managed with an industry leading safety program.